California is facing a serious drought. 2013 was driest year on record, and we are entering our third critically dry year. 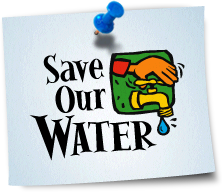 Governor Brown has urged all Californians to do their part to save water in his January 17 Drought Emergency Declaration. In Silicon Valley, we live in semi-arid region with a growing population. Conservation has been and must continue to be a way of life. Even the doubters are beginning to agree, our climate may be changing, and in California that often means droughts could become a way of life in the Golden State. Right now, with snow packs down, minimal rains throughout the state, and water usage on farms an in cities outpacing supply, it’s time for landscapers and gardeners to think: water conservation, water-wise plantings and sustainable design. 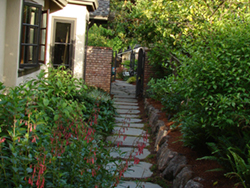 Low-Water Gardening—ornamental grasses, gray water gardens, fully integrated water catch systems. Agaves—Succulents are popular because they work within a wide variety of garden styles and make striking additions to arid, urban and tropical landscapes. Agaves are also perfect specimens for low-water gardens. 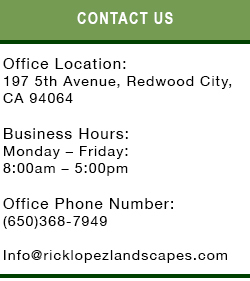 Naturalscapes—exchange grassy areas for more desert-like areas and plantings.